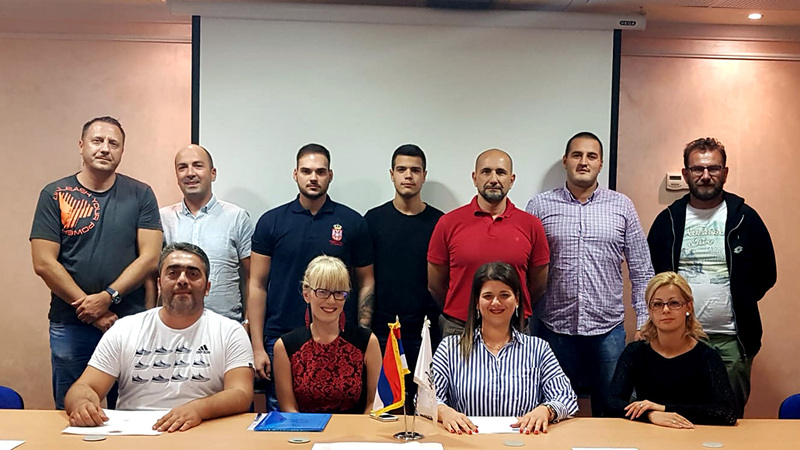 Development Center for Youth hosted on October 12-14, 2018 representatives of the Trade Union of Administration of the Republic of Serbia, Trade Union of Administration of Republika Srpska, Trade Union of Administration and Justice of Montenegro and the Trade Union of UPOZ of Macedonia, as part of the consultations and preliminary activities for implementation of the project “Rights at Work, Work on Rights”, which should start officialy on Mid-November 2018. Bearing in mind that this is one of the first regional initiatives connecting youth and trade union sector, meeting aimed to bring the participants closer to the concept of the project cycle management and all components of the project that is to be implemented in the months to come. In the forthcoming period, the initial meeting of the project team in its expanded composition will also take place, including, apart from mentioned trade unions, non-governmental organizations – project partners, as well as the University of Rijeka, as a representative of the academic community. The project is supported under the Erasmus+ program, KA2 – Capacity Building in the Field of Youth / Western Balkans Window and more information will follow in mid-November. Action Planning for 2019 held – a new team and new ideas for new incentives and successes!